This is my go to appetizer whenever I have guests coming over and I’m running short on time.It’s a fast,simple and delicious snack.I use PepperRidge farm puff pastry sheets and the results are awesome.You can serve them with ketchup /hot sauce and it makes a great appetizer for playdates,game /movie nights too. 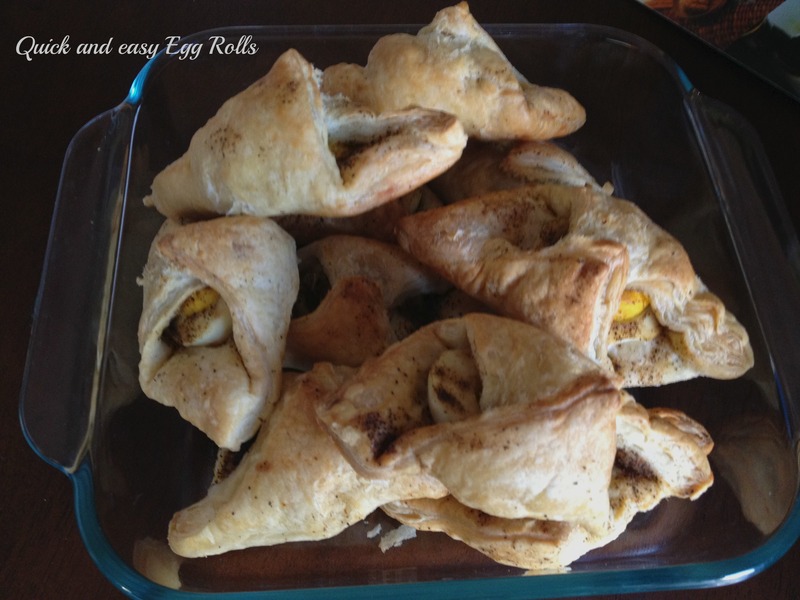 This entry was posted in Recipes and tagged baked, egg roll snack, pastry sheets, pepperridge farms, puffs. All my friends liked your website.